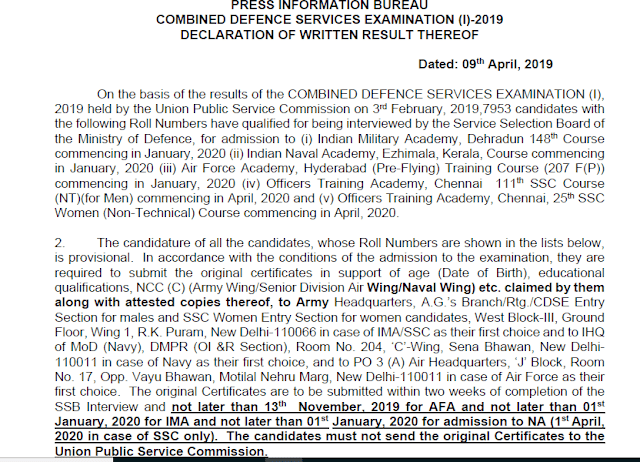 UPSC CDS (I) 2019 Written Exam Result: Union Public Service Commission has declared result of Combined Defence Services Examination (I), 2019. Candidates who appeared in the examination can check their result at the official website of the commission. UPSC CDS (I) 2019 Written Exam was held on February 3rd, 2019.